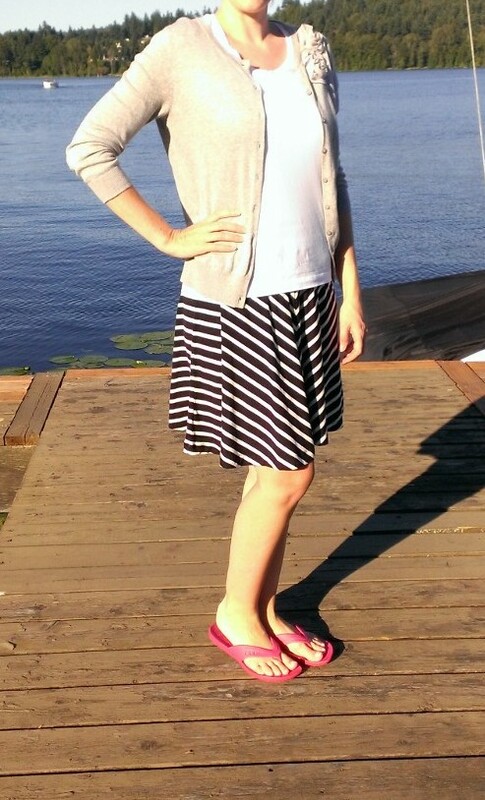 We had a lovely warm end to the week and after a morning out on the boat, I grabbed this striped swing skirt from the closet and paired it with a simple white tee and an old flower cardigan from Old Navy. I also threw on my favorite flip flops from Crocs so I could comfortably run some errands. I find that skirts are a great way to even out my proportions and are so easy to throw on for a summer weekend. Striped swing skirt, tee and cardigan.